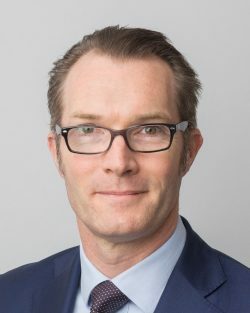 Patrick Coveney is CEO of Greencore Group plc, a position he has held for 10 years; prior to this, Patrick also served as the Group’s CFO. Greencore’s annual revenue is c. £2.3 billion, more than 40% of which comes from the US. Greencore employs more than 15,000 employees across Ireland, the UK and the US. Prior to joining Greencore, Patrick was a Partner at McKinsey & Company focussed on the food and beverage industry; finishing his career there as Managing Partner for McKinsey in Ireland. He is a Non-Executive Director of Glanbia plc, Non-Executive Chairman of Core Media Group and he sits on the Commercial Board of Munster Rugby. Patrick is a former Rhodes Scholar at New College, Oxford (earning an M.Phil and D.Phil in Management Studies) and he holds a B.Comm (First Class) from University College Cork. Aged 47, Patrick lives in Dublin with his wife and four children. Kevin P. Conlin is Chairman, President and CEO of Horizon Blue Cross Blue Shield of New Jersey. Mr. Conlin has over 35 years of executive management experience in health care, with a concentration in hospital systems, provider management, and managed care business. He has an extensive and diverse background in the hospital industry where he has held several leadership positions. 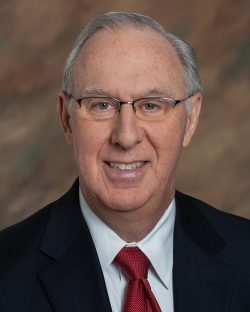 Prior to being named Chairman, President and CEO of Horizon BCBSNJ, Mr. Conlin was the Company’s Executive Vice President and Chief Operating Officer. In this role, he was responsible for directing and managing all business activities of Horizon BCBSNJ, ensuring the implementation of company-wide strategy and driving operational excellence throughout the organization. Mr. Conlin joined Horizon BCBSNJ in 2012 as Executive Vice President, Healthcare Management, responsible for the company’s health care services, pharmacy, quality, network management and government programs divisions. During this time, Mr. Conlin was the architect of the Company’s valued-based health care strategy which is focused on transforming health care in the state to improve quality and the patient experience, and lower costs. Prior to joining Horizon BCBSNJ, Mr. Conlin served as Executive Vice President at Coventry Healthcare where he headed the company’s medical management, national contracting, and provider relations departments. He was instrumental in leading innovative partnerships with health systems and physician groups. Mr. Conlin also served as President & CEO of Via Christi Health, a Kansas-based integrated health system with eight hospitals, a health insurance company, senior care facilities, physician practices, and home-based and outpatient services. Before joining Via Christi Health, he was President of Cross Country Consulting. Prior to that engagement, Mr. Conlin was President & CEO of Partners First, a subsidiary of Ascension Health. Mr. Conlin holds a Bachelor’s degree in Biological Sciences from Rutgers University and a Master’s degree in Health Administration from Duke University. 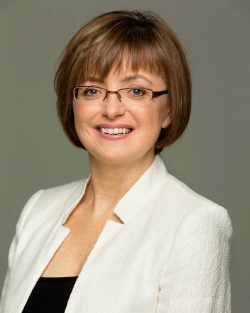 Cathriona Hallahan is Managing Director for Microsoft in Ireland, responsible for driving Microsoft’s commercial and consumer business on the island of Ireland. In addition to managing the continued growth and expansion of the business, Cathriona also represents the Company in Ireland on all strategic policy, corporate affairs and communications issues including overseeing a number of community, education and innovation programmes. Cathriona joined Microsoft in 1986 and over the past 31 years has held a variety of senior roles in both Finance and Operations. She has managed large teams with regional and global responsibilities across a range of functions including global responsibilities for Microsoft Business Services and Enterprise Services, as well as directing Supply Chain Management, Logistics, Customer Care and IT & Financial support for Europe, Middle East and Africa. In addition to her Microsoft responsibilities Cathriona also sits on the boards of Solas, the Children’s Hospital Group Board, IBEC Board, IBEC National Council, UCD Advisory Board to the President of the College, National Competitiveness Council and the DanceSport Federation Board of Ireland. Cathriona is also Chair of IBEC’s Innovation, Science and Technology Policy Committee. She is a member of the International Women’s Forum, Institute of Directors, Institute of Accounting Technicians (IATI) and is a fellow of ACCA. Cathriona is a qualified Executive Coach, and is passionate about Change Management and Leadership Development. In June 2015 the Women’s Executive Network inducted her into its Hall of Fame following three successive years of recognition as one of Ireland’s Top 25 Most Powerful Women. She was awarded CEO Businesswoman of the Year 2014 by Image Magazine: 2009 O2 WMB Businesswoman of the Year, Business & Finance Person of the Month during 2013, and honoured with the Praeses Elit Award from Trinity College Dublin 2017. Gerald Lawless started his career with Forte Hotels which culminated in him setting up and growing Forte’s operations in the Middle East. After a 23-year career with Forte Hotels, he joined Jumeirah in 1997 as the founding CEO and helped establish it as one of the premier luxury hotel brands in the world. Taking on the challenge of launching Burj Al Arab, the world’s most luxurious hotel, after the successful introduction of Jumeirah Beach Hotel to an eager travelling public, he oversaw the expansion of the Jumeirah luxury brand to twenty hotels in operation with a pipeline of up to twenty five new properties. Gerald is a Graduate of Shannon College of Hotel Management in Ireland and holds an Honorary Degree of Doctor of Business Administration in Hospitality Management by the Johnson & Wales University, State of Rhode Island, USA; an Honorary Degree of Doctor of Laws by the National University of Ireland, Galway; and an Honorary Doctorate by the Middlesex University Dubai. 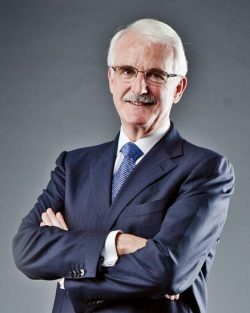 He is a member of the Global Future Council on the Future of Mobility of the World Economic Forum; a fellow member of the Institute of Hospitality; an ambassador and honorary member of the World Travel and Tourism Council and a member of the International Advisory Board of the Ecole Ho ̂ telière de Lausanne. Having retired last year he continues to reside in Dubai with his wife Neasa. 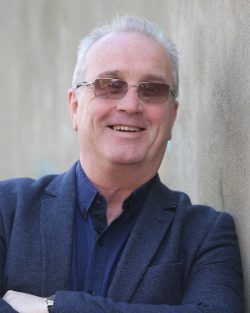 Gerald serves on a number of boards as a non executive director including World Expo2020 which will be held in Dubai from October 2020 and as Ambassador for Galway, European Capital of Culture 2020. He is a recipient of the 2017 Presidential Distinguished Service Award for the Irish Abroad. 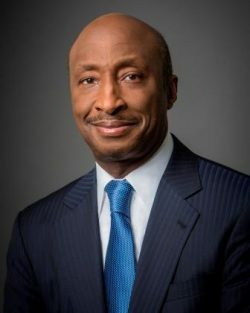 Chairman and Chief Executive Officer of Merck & Co. Inc.
Kenneth C. Frazier has served as the Chairman of the Board and Chief Executive Officer of Merck & Co., Inc. since 2011. Under Ken’s leadership, Merck is delivering innovative lifesaving medicines and vaccines as well as long-term and sustainable value to its multiple stakeholders. Ken has substantially increased Merck’s investment in research, including early research, while refocusing the organization on the launch and growth of key products that provide benefit to society. He has also led the formation of philanthropic and other initiatives that build on Merck’s 125-year plus legacy. Ken joined the company in 1992 and has held positions of increasing responsibility including General Counsel and President. Prior to joining Merck, Ken was a partner with the Philadelphia law firm of Drinker Biddle & Reath. Ken’s contributions, especially in the legal, business and humanitarian fields, have been widely recognized. He sits on the boards of PhRMA, Weill Cornell Medicine, Exxon Mobil Corporation, and Cornerstone Christian Academy in Philadelphia, PA. He also is a member of the American Academy of Arts and Sciences, the American Philosophical Society, The Business Council, the Council of the American Law Institute, and the American Bar Association. Ken received his bachelor’s degree from The Pennsylvania State University and holds a J.D. from Harvard Law School.